Spring marks the arrival of North America’s oldest road race, the Around The Bay 30K in Hamilton, Ontario. The course goes through both Hamilton and Burlington as it circles Hamilton Bay attracting top talent from the area and across the country. Parallel to the Beach Boulevard section of the course is the Hamilton Waterfront Trail where the Beach Strip parkrun is located. While the race attracts seasoned runners, I cannot help but think of the role parkrun plays in introducing new runners to the sport, perhaps some of them dream of one day entering the Around The Bay road race. 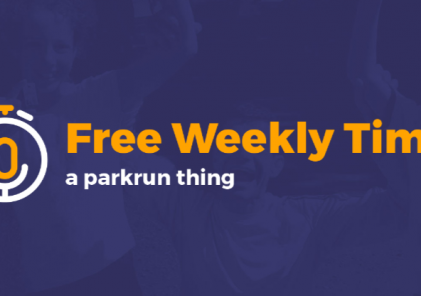 I see parkrun as a great resource in the area to support those dreams by introducing the sport to new runners and encouraging everyone to get active. Spring will also include the 1 year anniversary of the Beach Strip event. Already, we have seen our friends down the lake in Whitby celebrate their anniversary and another event in Mississauga (a community just outside of Toronto) launch in March. Spring seems to bring life to the area after a Southern Ontario Winter has moved on. The winter saw only two cancelled Beach Strip events due to a snow storm and ice, and the spring will see another cancellation to support an event also happening on the Beach Strip. That is what is great about parkrun, while we aim to remove the barriers to running for people of all ages and abilities, we also see the value of other running events. Together we are building stronger communities and I love being part of the parkrun movement here in Canada. Additionally, the changing seasons is a time when the Beach Strip converts from our fall/winter start time at 9AM, to the Spring Summer 8AM start. Safety is a common denominator for everything we do at parkrun and as our route is on a shared path, the activity levels increase significantly in the summer as does the humidity and temperature. I am looking forward to the many new friends we will make in our second year of operation here in the Hamilton Burlington area, as well as the amazing number of tourists that are sure to join us. Lastly the changing season will finally allow me to drive across our country for the first time, while I travel to BC to visit my daughter. I am looking forward to aligning my Saturdays with a parkrun as best I can. I guess that will make me a parkrun tourist Looking forward to meeting some of you as time allows. Happy Spring!! !